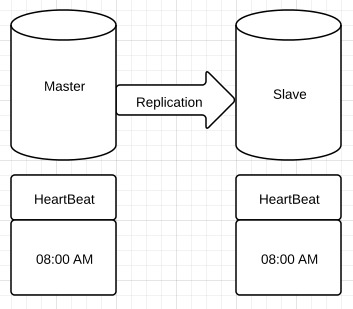 Using heartbeats in database tables is a very widely used concept for an application to determine whether two or more database nodes are in sync. 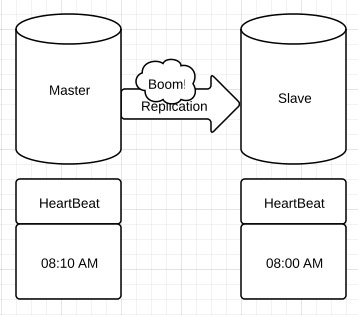 Part 1 of this series of articles describes the basic scenario of using a heartbeat table in a simple master slave replication. 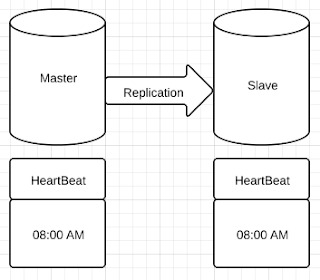 When the master stops replicating, the HearBeat table on the Master keeps updating itself but this is not reflected onto the Slave. 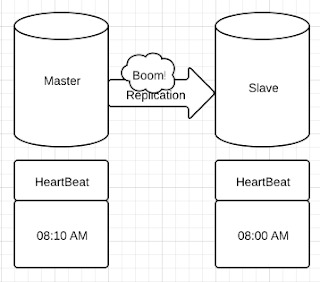 The application will read the date from the Slave's HeartBeat table and detects a lag from the current timestamp and alerts the user.